Takeaway waited over 2 hours for food!! Ordered a take away last night. Placed the order online at 18:04 and didn’t receive the food until gone 8pm. I put my email and phone number on the order so if there was a long wait a courtesy call would have been nice to let us know about the wait or an update on the website to say there is a long waiting time? We called the restaurant 3 times to be told each time the driver is on his way!!! This was very disappointing as has put us off from ordering here again especially as we have a 5 month old baby and were waiting to eat before bedtime but if we knew it was going to be long we could have done this while waiting for the food. However when the food came it was very nice it just would have been nice to have been told there is a long wait so we knew. would not recommend it to friends and family! - never ever! 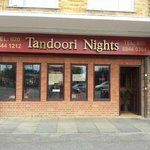 Located on the Uxbridge Road in Feltham is Tandoori nights restaurant. Serving good Indian food and service is very good. I started with a chicken momo as I hadn’t had it before. Tasted pretty good. For my main I had chicken dhansak, aloo gobi, tarka dal and pilau rice. The chicken was spicy, sweet and sour as it should be. The aloo gobi had soft potatoes and firm cauliflower, beautifully seasoned. The dal, rich and tasty. I haven’t had a meal as well balanced as this for ages. Most places put in the heat but not the flavour. This was totally packed with delicious flavour. The heat was well balanced, not too much but definitely there, just as I would want from a dhansak. The staff were friendly, welcoming and efficient. I would definitely eat there again and I recommend the restaurant to you highly. Been to Tandoori Nights? Share your experiences!